Harry has been working in the CEE Industrial business for over 10 years with vast experience gained as his last appointment was head of CEE industrial for JLL. With a good understanding of the industrial sector including supply chain, a partner in the business and also good connections with developers and end users alike. Over the last 8 years Harry has accomplished more than 100,000 sqm on a yearly basis helping tenants such as Metro/Makro, Mattel, Foxconn amongst others. After Glasgow Academy schooling, Harry went on to complete a merit HND in Marketing and Business. Prior to moving to Czech Harry had his own business in Scotland, buying and selling commercial businesses and brings valuable business knowledge. Leadership board for logistics and industrial in colliers and a member of AFI. 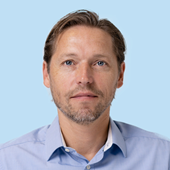 Miroslav joined Colliers in December 2018 as a Director in the Industrial Agency. 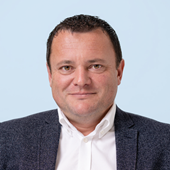 Throughout almost two decades working in the industrial real estate sector in both the Czech and Slovak Republics, Miroslav has built up strong relationships with the most active players in the region, such as CTP, Prologis, P3, VGP, Panattoni, ILD, Segro, Redstone and others. Miroslav first worked with CzechInvest as Head of Business Properties Promotion Department, and later with Jones Lang LaSalle as Associate Director in the industrial team. 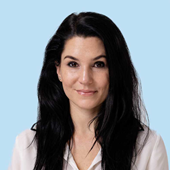 Silvie joined Colliers in March 2016 as an Asocciate. She has previously worked at Cushman&Wakefield as a Consultant in their Office Agency. Silvie has over 6 years of experience in the Czech real estate market (retail and office agency). Her main responsibilities are client representation at industrial space acquisitions, provision of property overviews, financial analysis and assistance with contract conditions negotiations with developers. My strong organizational skills and structured work approach were beneficial in American Express where I was responsible for various booking and ticketing activities, holding key client accounts which I was entirely responsible for. Prior to that I also worked for CSA – Czech Airlines dealing with airline bookings and ticketing processes. After American Express I joined JLL as the new Office Manager and a Personal Assistant to the MD, being responsible for organizing the MD’s daily activities and tasks and responsible for the overall daily operational functions and activities of the office, reporting to both the MD and the CFO. 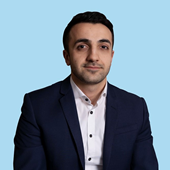 I was interested in entering the transactional business and moved on to join the Industrial team at JLL as a Junior Consultant in October 2017 till August 2018, before joining Colliers. In my new position I was responsible for acquiring new potential clients and leads and managing the on-line database of industrial stock across the Czech Republic. Adrianna joined Colliers International in June 2018 to Industrial departament. Prior to joining Colliers, Adrianna worked in the POWER EXCHANGE CENTRAL EUROPE - electricity trading, where she also held the membership issues position and helped to open trading markets in Slovakia, Hungary and Poland. Adrianna is also experienced in brokers companies as GFI where she took position e-commerce broker in Nyon, Switzerland and London, UK.